We’re talking with automotive DIYers all the time to learn more about their personal experiences, motivations, and challenges. Inside, you’ll find direct quotes from real automotive DIYers that reveal what they really need from brands like yours and why they’re passionate about what they do. All of our automotive DIYer research is curated inside this Ebook in an easy to follow format. You’ll get insights about your target audience, such as their values, purchasing process, and online habits, as well as how those insights can impact your marketing strategy. For automotive aftermarket brands, understanding the DIYer is crucial to your marketing efforts. You’ll discover a full page spread on the demographics and statistics that show you who the average DIYer is and define the automotive DIY community as a unique target audience. 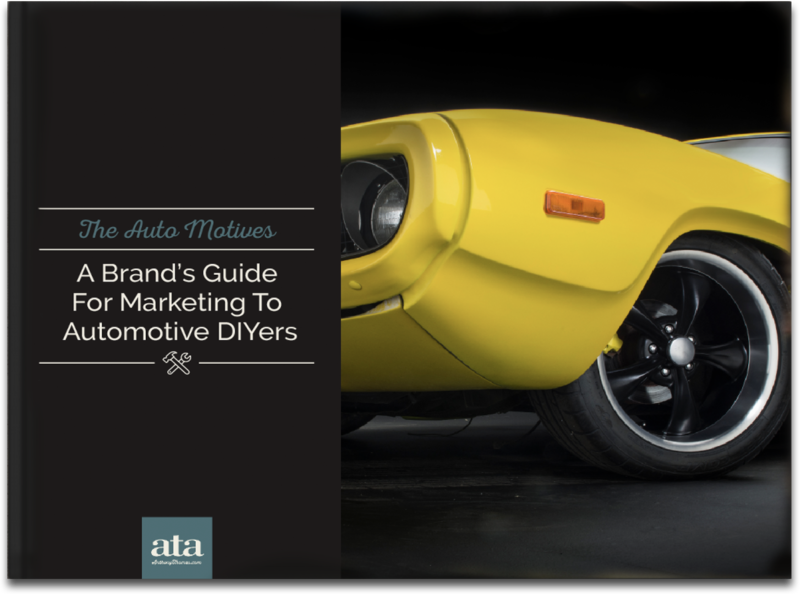 ATA is a creative marketing and advertising agency that has helped automotive aftermarket brands successfully market their products to automotive DIYers for over 30 years. But more than that, we've helped them create authentic connections with this powerful and influential audience.